A man repairs a fence, axe in hand. Caption on reverse reads "NY Crown Point Spring- mending the pasture fence." 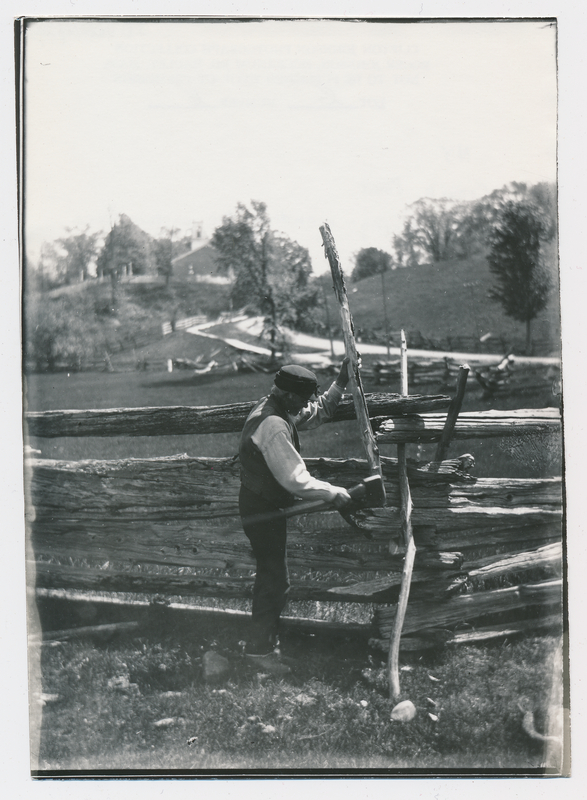 Johnson, Clifton, 1865-1940, “Mending the pasture fence,” Digital Amherst, accessed April 23, 2019, http://digitalamherst.org/items/show/1853.